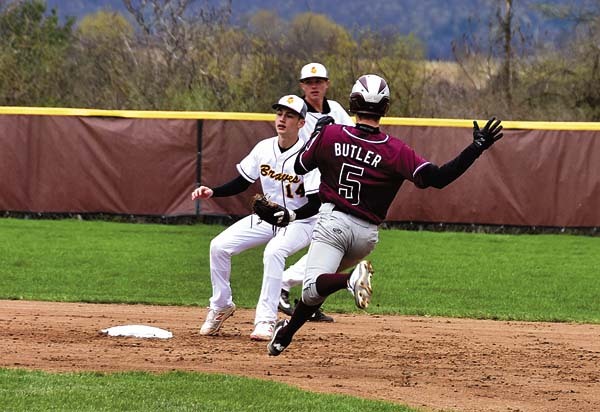 JOHNSTOWN — Richard Umholtz and Ryan McNamara of the Fulton-Montgomery Community College baseball team were named to the 2017 Mountain Valley All-Conference team. Umholtz was named to the team as one of the three top pitchers in the conference. He started five conference games for the Raiders and appeared in six. Umholtz finished with a 2-3 conference record and pitched 32 innings. He led the team with a 3.38 ERA and struck out a team high 28 batters. McNamara was tabbed as the third baseman on the conference team. He finished the season going 26-for-71, for a .366 conference batting average and a .477 on base percentage. He scored 24 runs, had a team-high four home runs and 18 RBIs. In addition to their efforts on the field, both Umholtz and McNamara have put up solid numbers in the classroom. Umholtz is a member of the 3.5 GPA club and McNamara is a member of the 3.0 GPA club. 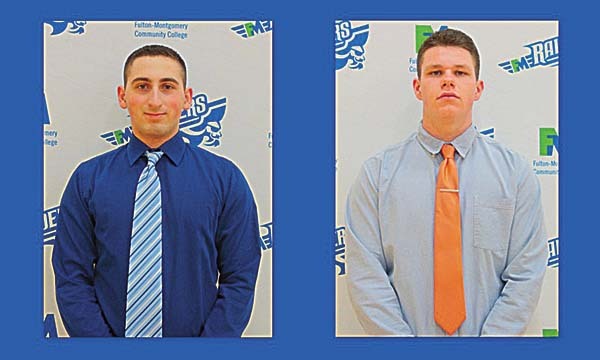 Hudson Valley Community College’s Brandon Hubbard was named the conference’s Player of the Year, while SUNY Adirondack’s Casey Job was named Coach of the Year. HVCC had Danny Coleman (second base) and Alex Koshgarian (outfield) named all-conference, while SUNY Adirondack’s Aaron Cook (shortstop), Matt Zita (catcher), Nate Corhouse (outfield) and Max Perotta (pitcher) also were honored. Rounding out the all-conference team was Columbia-Greene Community College outfielder Noah Ernst.